We represent one billion persons with disabilities spending billions in travel and lifestyle dollars in economies all over the world. Yet, we are rarely seen or acknowledged in advertising and editorial images. Why is a small, yet powerful and growing segment of society not being seen or represented as customers? We feel that once we are represented by a true and complete reality of our lives; going on dates, enjoying activities and recreational facilities with our families, on the job, on vacation, participating in sports, going shopping, enjoying a glass of wine, a good restaurant, and all the good things life has to offer, it will be understood and accepted that we should be provided accommodations and consideration that recognizes how valuable our contribution really is to all these industries. Browse our photo gallery and become inspired by these images, purchase those you feel represent your customers, or contact us if you would like to create a custom photo statement representing your specific interests and properties. 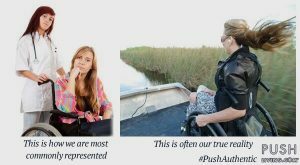 We can provide just the concept, or anything from a marketing analysis, to the models, to the authentic and realistic portrayal of who “WE” really are. 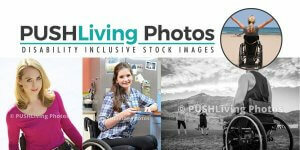 If you would like to purchase PUSH Living Imagery stock photos for your next commercial, creative or editorial project; or if you want to submit photographs for sale in the library please contact Photos@pushliving.com. Thank you! Hey Buddy!, I found this information for you: "Stock Photos". Here is the website link: https://pushliving.com/stock-photos/. Thank you.